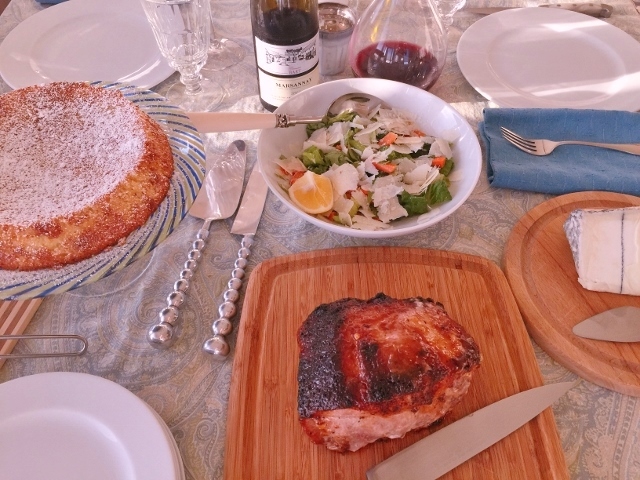 Social Sundays - Pork Loin with Peachy Mustard Glaze, Carrot & Celery Salad, and Lemon Almond Flourless Cake! - Live. Love. Laugh. Food. Social Sundays is here again, so let’s kick off this beautiful day with some mouth watering favorites. I love classic cooking and these recipes, even though slightly updated, remind me of some of the best meals I’ve ever had. We are roasting meat in the oven this week, which is a cinch if you have a good digital thermometer to help you through the cooking process. Temperature is everything when roasting meat, so if you don’t have one, invest in one. 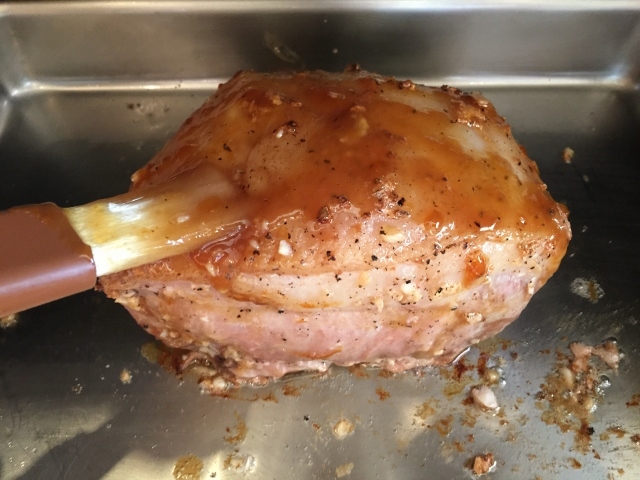 We are roasting a Pork Loin with Peachy Mustard Glaze for our entree, it is super simple to prepare, and loaded with juicy tender flavor. 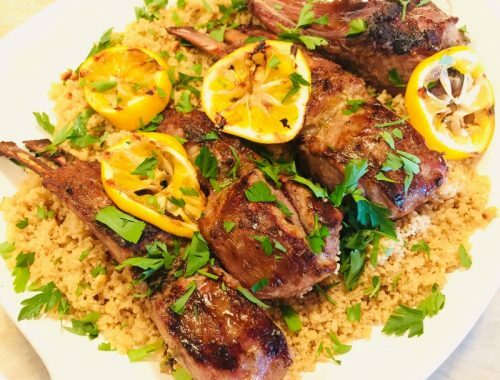 The tangy glaze is perfect this time of year and adds to the succulent meaty taste. 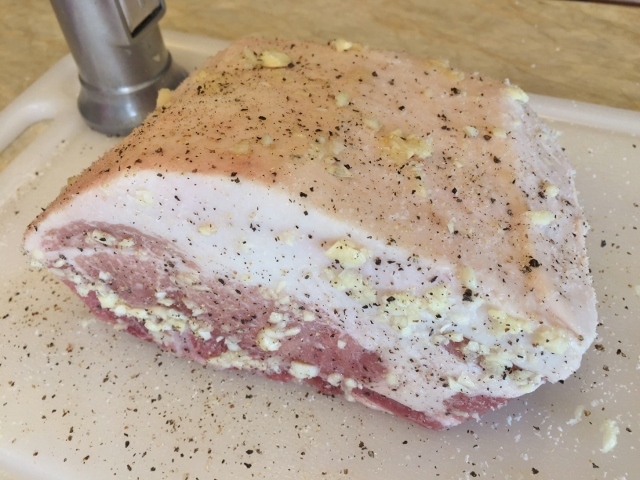 My pork loin has a large fat cap on top because I purchased it from a farmer’s market, but if you prefer less fat on top, buy a pork loin at the grocery store – but keep a little fat on the top. Our side dish is a Carrot & Celery Salad with Lemon Honey Vinaigrette. This salad reminds me of dining in one of my grandparent’s favorite restaurants, where they always placed a carrot and celery tray with dipping sauce on the table. In this salad the crispy veggies are a fun twist mixed with a little Romaine lettuce for an extra crunch. 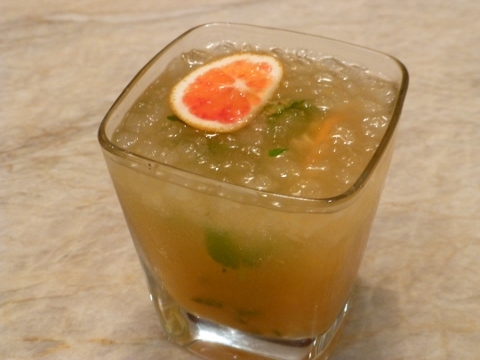 The citrusy vinaigrette gives it a boost of tang, which the carrots and celery can handle. 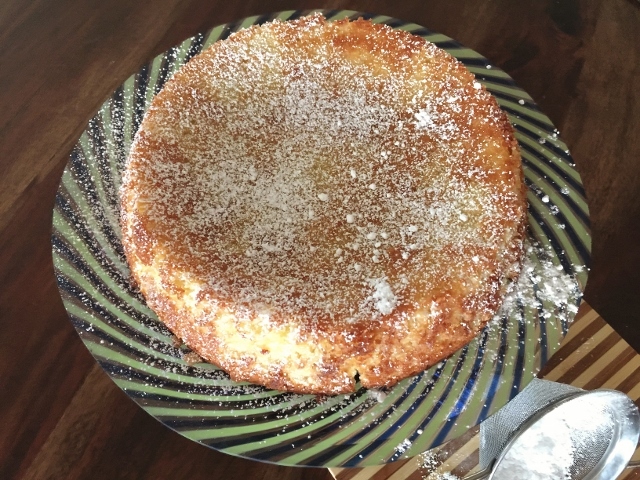 For dessert, a tender Lemon Almond Flourless Cake. Flourless desserts are so in fashion, especially with the grain free crowd, and this cake doesn’t miss a beat on flavor. 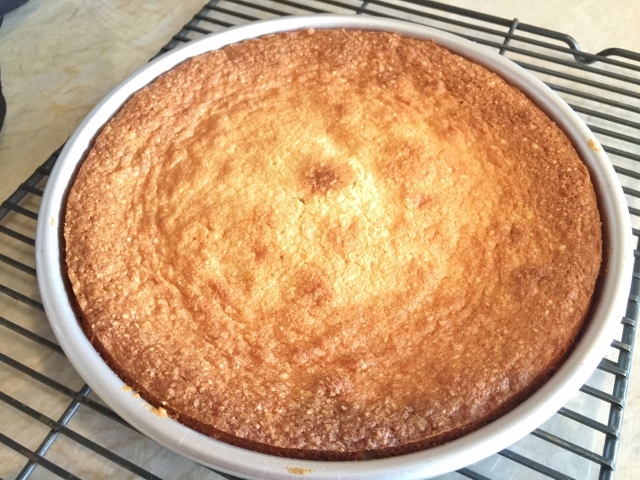 The crumb on this cake is almost like pudding, but with a slight nuttiness. I must say, “it is scrumptious” and it’s even better with a scoop of vanilla ice cream on the side. 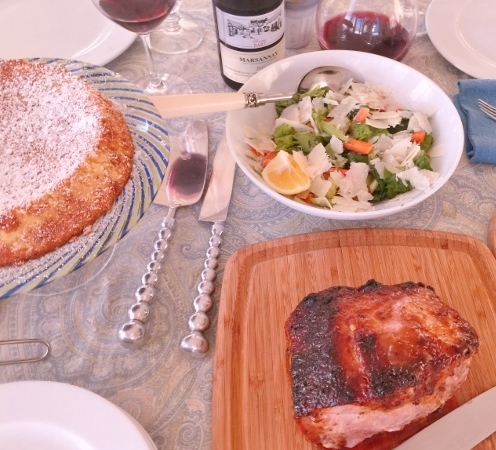 So, invite some friends and gather to create a meal that is worth reminiscing about. Don’t forget to tag me @genamariebell on Instagram with your pics! 1. Preheat the oven to 325 degrees. 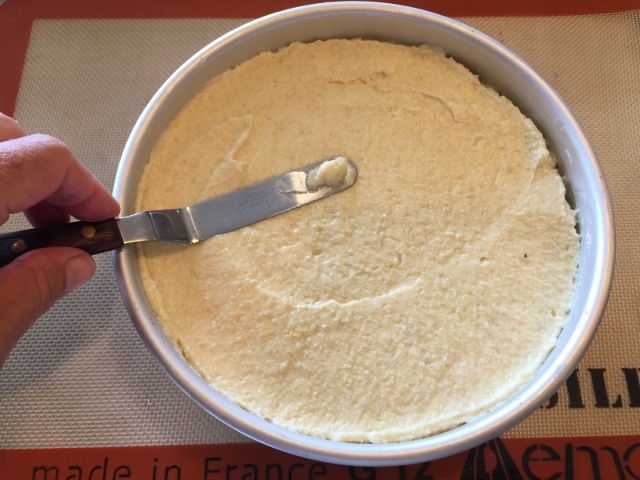 Butter and line the bottom of a 9-inch cake pan with parchment paper. 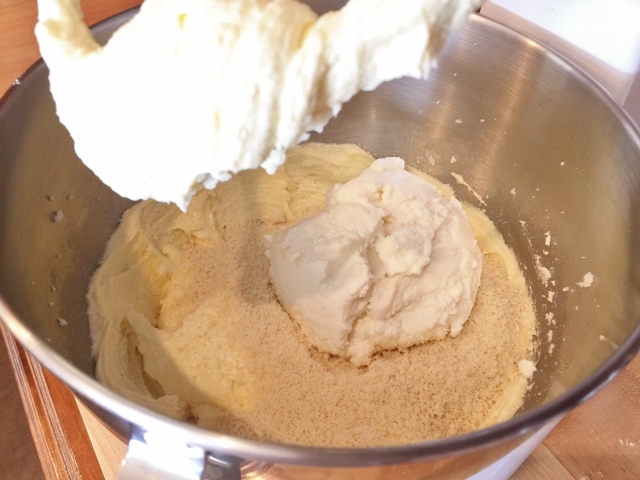 In a stand mixer or large bowl, beat butter and sugar for 3 minutes until light and fluffy. Add in egg yolks, lemon zest and almond extract, beat for 2 minutes. 2. Add in the almond flour and ricotta cheese and mix on low speed for 1 minute, or until combined. 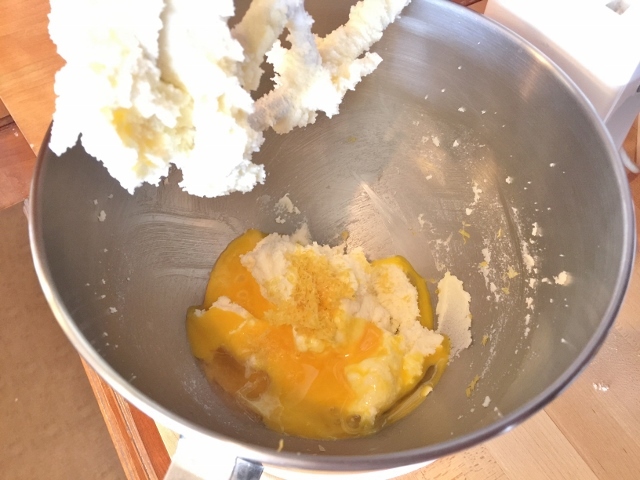 Remove bowl from stand mixer, and in separate bowl, beat egg whites until stiff peaks. 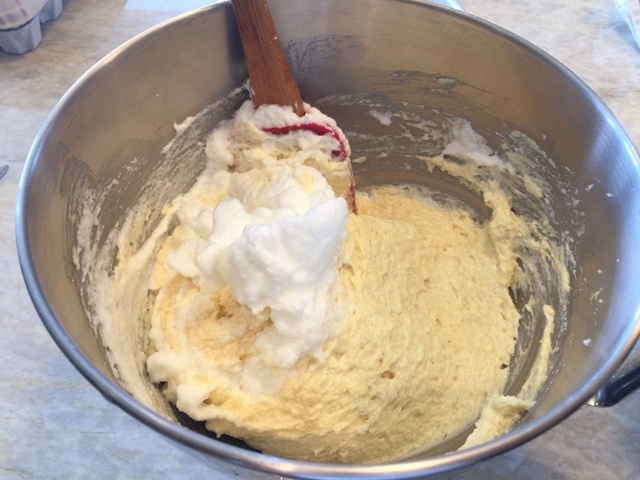 Fold egg whites into cake batter. 3. Pour batter into prepared pan and smooth out on top. Bake for 45-50 minutes or until the cake is firm to the touch. Remove from oven and let cool in pan for 40 minutes. Using a table knife, loosen the perimeter and invert on a cake stand or platter. 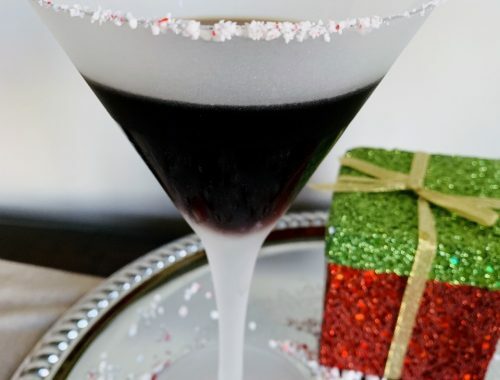 Cool to room temperature and sprinkle with confectioners sugar. Slice and serve with a scoop of vanilla ice cream, if desired. Enjoy! 1. 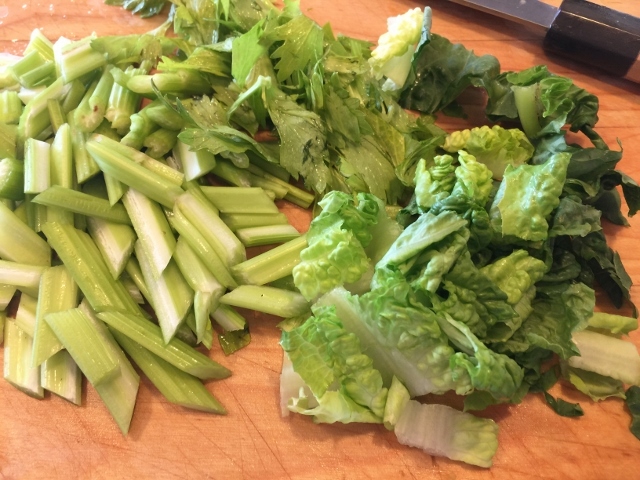 Remove any celery leaves and rough chop. Slice the celery down the center and cut diagonally into thin pieces. Slice the Romaine lettuce into thin strips. Peel and julienne the carrots. 2. 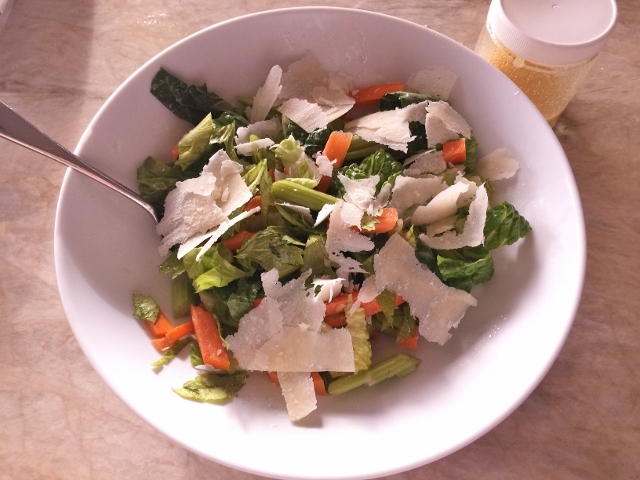 Place the celery, carrots and lettuce into a serving bowl. 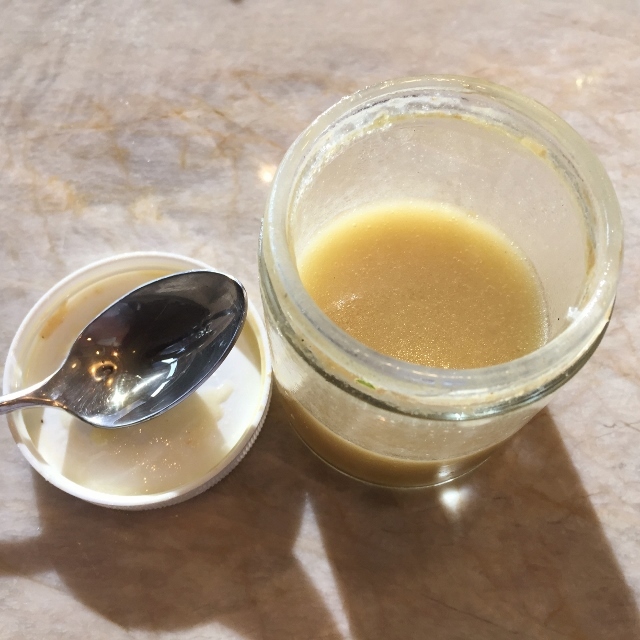 Add the vinaigrette ingredients into a jar with sealed lid and shake vigorously. Pour half the dressing over the salad and save the other half for serving. 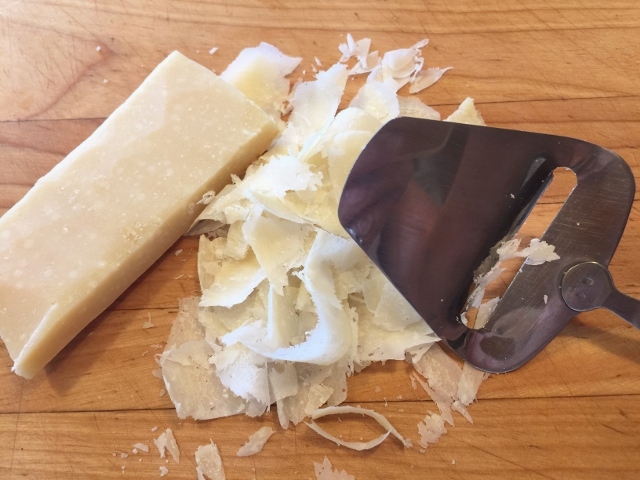 Shave Parmesan and sprinkle over the top, chill salad until ready to serve. Enjoy! 1. Preheat the oven to 400 degrees. Remove pork from any packaging and pat dry with paper towels. 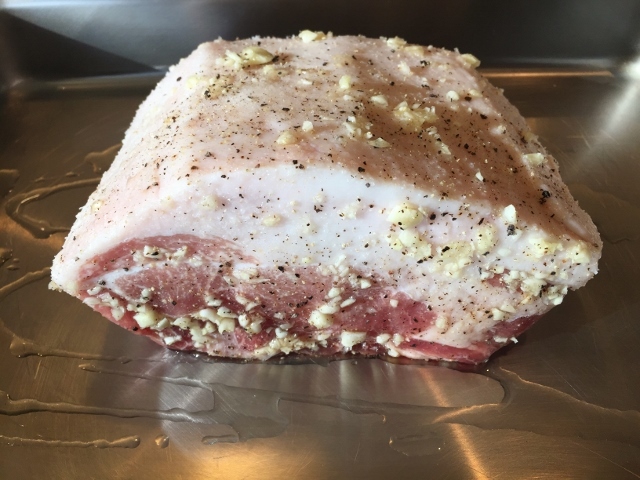 Chop garlic and press on the outside of pork loin. Sprinkle with salt and pepper on all sides. Let meat rest for 30 minutes. 2. Place pork loin in a roasting pan and put in the oven to roast for 1 hour, or until the internal temperature reaches 142 degrees. The pork will continue to cook after you take it out of the oven. 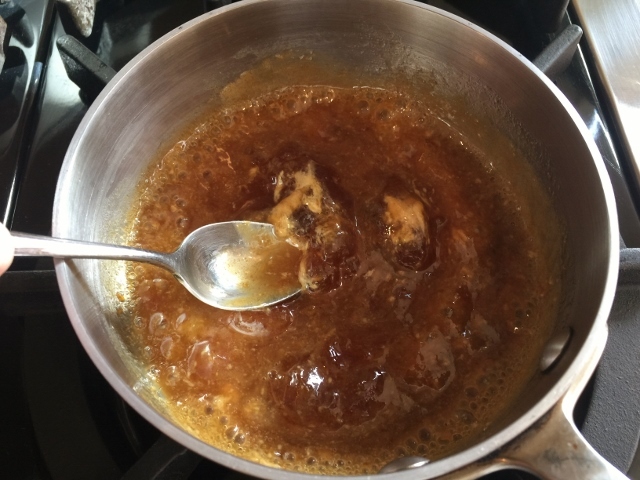 Add the glaze ingredients to a saucepan and heat until simmering. Brush the top of pork after 30 minutes of cooking and then again after 2o minutes. Remove from the oven and place on a cutting board to rest before slicing. Enjoy!